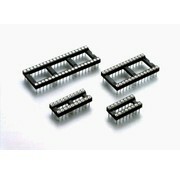 IC Socket's - HTF Electronics, We Help Create Your Imagination! 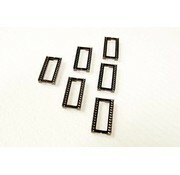 ZIF socket 16 pins narrow. 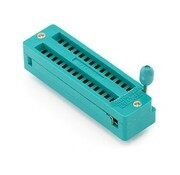 ZIF stands for "Zero Insertion Force" and makes programming 16 pins IC's much easier. 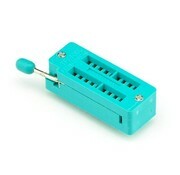 ZIF socket 40 pins Wide. ZIF stands for "Zero Insertion Force" and makes programming 40 pins IC's much easier. 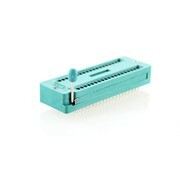 ZIF socket 28 pins small. ZIF stands for "Zero Insertion Force" and makes programming 28 pins IC's much easier.